Keep your shoes looking like new with this easy-to-use polish! 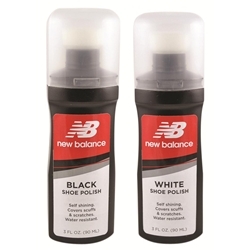 New Balance® Shoe polish is self shining, covers scuffs & scratches. Keep your shoes looking newer longer. Water resistant formula! Available in white and black polish.